Community Schools or a Bunch of Bologna? With the re-authorization of the Elementary and Secondary Education Act, or No Child Left Behind into the Every Child Achieves Act (ECAA), there is a lot of talk about community schools. For many, the term “community schools” conjures up the idea of schools as the hub of the town, with experienced principals and credentialed career teachers. We think of these schools as designed for the public good, with strong PTAs, afterschool programs, and health screenings which include a school nurse. Most important, the community, we assume, owns these schools. They should be public in the truest sense of the word with plenty of electives including the arts and sports. With luck, community schools stay open into the evening with course offerings for adults and students! They are overseen by strong, involved school boards, we think. Some of us might remember our own public schools as community schools when we were young. Others think their schools needed help. But all of us probably agree that community schools should be schools the community gets behind and is proud of—a source of support for families and the town or city. The elephant in the room with community schools is…you guessed it…racial diversity. Unless the surrounding neighborhood is multicultural, community schools run the risk of being segregated. Also, many parents might be scratching their heads. They have not forgotten the closure of what they believed used to be their community public schools. They might wonder if they will be getting their old schools back. So, aside from the problem with integration, or the lack of it, upon hearing the term community schools, it is easy to get a warm fuzzy feeling that something good is happening in education. Maybe the tide is turning. Perhaps too, our neighborhoods are changing when it comes to ethnicity. Alas, however, upon examining today’s term “community schools,” one realizes quickly, that they are usually charter schools. Here is the Ohio definition of community schools. Community schools, often called charter schools in other states, are public nonprofit, nonsectarian schools that operate independently of any school district but under a contract with an authorized sponsoring entity that is established by statute or approved by the State Board of Education. 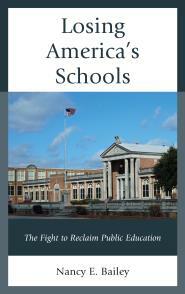 Community schools are public schools of choice and are state and federally funded. If they aren’t charters, they are poor traditional public schools relying on some business in the community to keep the school afloat. Chances are it will only be time before they are turned into a charter. Some choice. The mention of public-private ownership whenever community schools are mentioned, gives it away. Certainly private business has an interest in supporting local public schools. They should donate to them to help them thrive. But public schools should not be so poor that the community must rely on outsiders to keep the school open. Public-private partnerships implies more than volunteerism. It involves ownership. We know ownership means business will run the schools—even possibly make a profit off them. They will also drive career teachers and reputable principals and superintendents out of the system. They will claim they are too costly. In some places charter schools have turned into for-profit businesses with stocks trading on Wall Street. How does this make it a community school? Certainly, there are charters that are run by sincere individuals doing good work. Those aren’t the charter schools I refer to. And if the ECAA passes with wraparound health services that would be a good thing. However, there is uncertainty with that part of the bill. Also, many public schools used to offer wraparound services. They had school nurses and health screenings. Poor children usually had access to primary health and dental care. Who will monitor whether children get those services in their charter schools? Real public schools should still be able to offer those services. It is also interesting that they talk little about teachers on their website. A traditional public school is a real community school. It is a school that rejects no one. It has legitimate career teachers and principals. So hearing all the hype about community schools in the new Every Child Achieves Act is deceptive, because when most of us think of community schools we are dreaming of something different than charter schools. I don’t know about you, but I don’t like bologna. Baron, Kathryn. 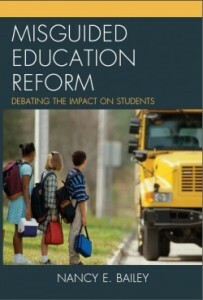 “Senate Bill Keeps After-School and Community Schools in ESEA.” Education Week. July 17, 2015. ***Correction. The Coalition for Community Schools discusses a toolkit to start community schools. This is for a public school already existing. They aren’t permitting anybody off the street to start a school. And, I am also told when they speak about personalizing schools they are not referring to online instruction but the old idea of personalizing curriculum. I can understand this. I have a Facebook page entitled Personalizing Education and it is all about special education. I too started that page without knowing the new contrived meaning of that word. I apologize for these errors. In California, community schools are in district, comprehensive schools with wrap-around services. Many of us are pushing for their expansion. Thank you Karen, we need to make sure people understand that Community Schools are traditional public schools and will STOP the growth of Charters and will also be able to stop ASD takeovers…but not if people are getting incorrect information. Karen, I’d be interested in hearing about the outside partners you have with these schools. The Beacon organization that Nancy is concerned with at Coalition for Community Schools is NOT the Beacon Charter schools…not affiliated what so ever. I will be adding much more information soon, Community Schools are having great success at solving the issues Charters say they will, but have yet to prove. Community Schools in Tennessee are defined as traditional public schools and that is what they are. We have them in Knoxville and Nashville and they are amazing! The ones I am familiar with in Ohio, New York, Illinois, Pennsylvannia, etc. are also public schools. Please be careful making assumptions based on limited research and not speaking to folks who are working hard to make sure every child gets a great PUBLIC school education. Thanks, Gloria. I will try to write another post taking what you said under consideration. In all fairness though, I did not mention Beacon in my post. I spoke about these schools with you in our conversation because I had not yet checked them out. Also, my point still stands. That some charter schools do call themselves community schools. Below is the Frayser example. We may not agree that they are truly community schools but the public doesn’t always know that and that can be confusing. New York is working with the PUBLIC SCHOOL model in Cinci that is working so well and they are working to add wrap around services to dozens of New York Schools to enhance the traditional public schools so they won’t be turned in to Charters. I had a good conversation with Nancy and I have run down every concern she has told me about and every one of them has told me the same thing…these are all traditional public schools. I called Cinci, I called New York, I called Coalition for Community Schools…all I have spoken with are not Charters but are traditional public schools. I will keep plugging…but haven’t found a Charter yet. I have no doubt as this research based solution that is Community Schools gets more and more publicity, the Charter folks will try to co-opt it…but that is not what it is. Thanks, Gloria! I appreciate your taking time to provide clarity concerning community schools. In our city a Community School is a partnership of individuals and organizations working to provide quality out-of-school programs focusing on positive child and youth development while meeting the community’s needs for keeping kids safe and families engaged. We have engaged principals, teachers, public and private partners, and a fully engaged school board and backing from our City Council. We have seen significant results with our tutoring programs, family engagement with our youth programs, and great programming for our parents. All of this in one of our most diverse elementary school communities. We are hoping to expand to other schools and other levels across our city. I believe there are some for-profit charter schools that are community schools in the Chicago area. Thank you, Mary Ellen, for the information about community schools in Chicago.